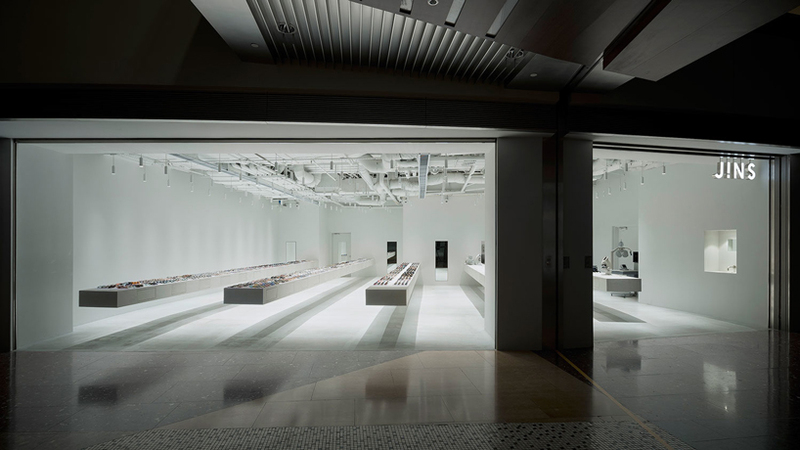 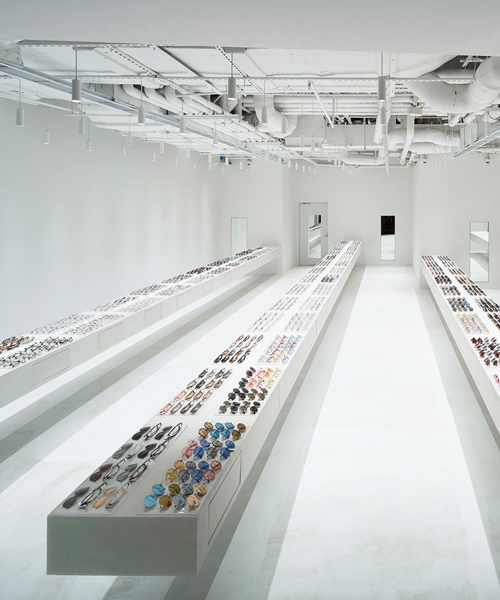 in shanghai, japanese architect junya ishigami has installed 12-meter-long (39-feet) cantilevered display shelves in his store design for eyewear brand JINS. 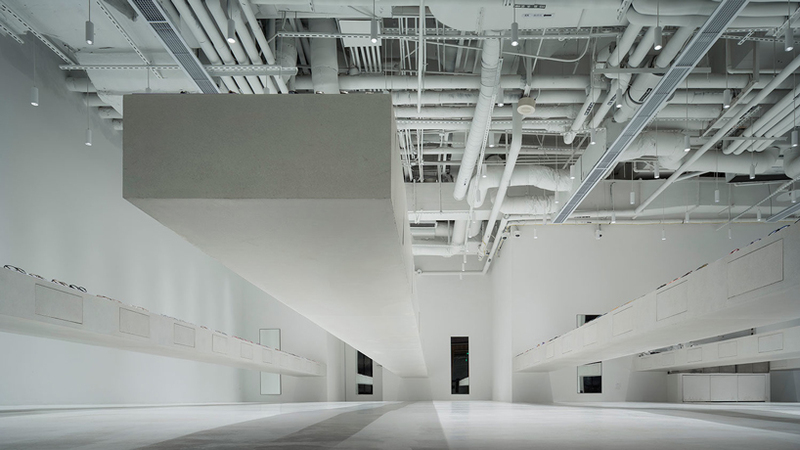 the minimal interior is painted white, with its industrial setting accentuated by exposed piping and ventilation in the ceiling. 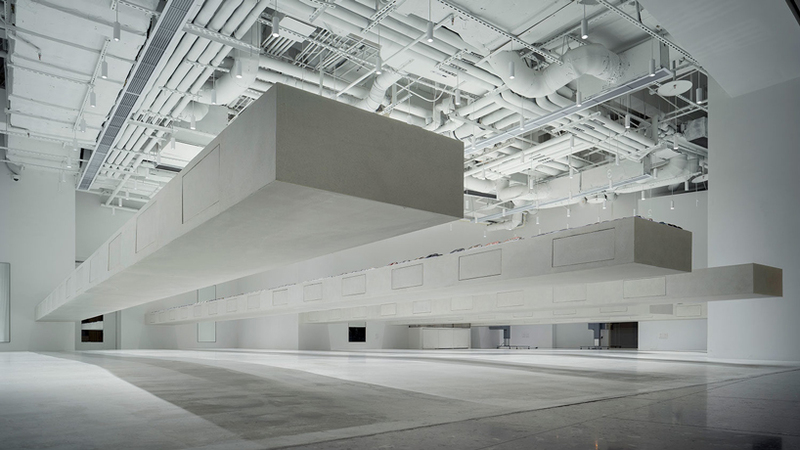 from one side, three cantilevered concrete shelves and two shorter shelves for customer assistance protrude, casting elongated shadows directly below. 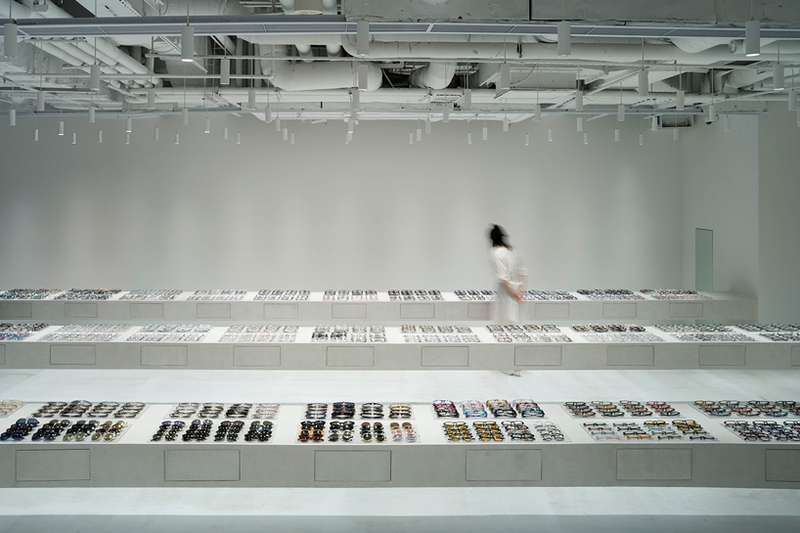 these volumes extend towards two large floor-to-ceiling windows that further expose the light-flooded space. 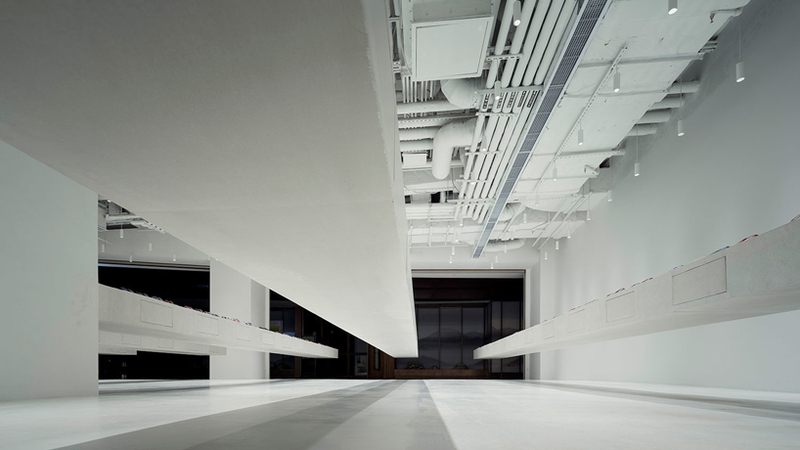 this project by junya ishigami forms JINS’ first outpost in the chinese metropolis, and is located inside the shanghai world financial center (SWFC). 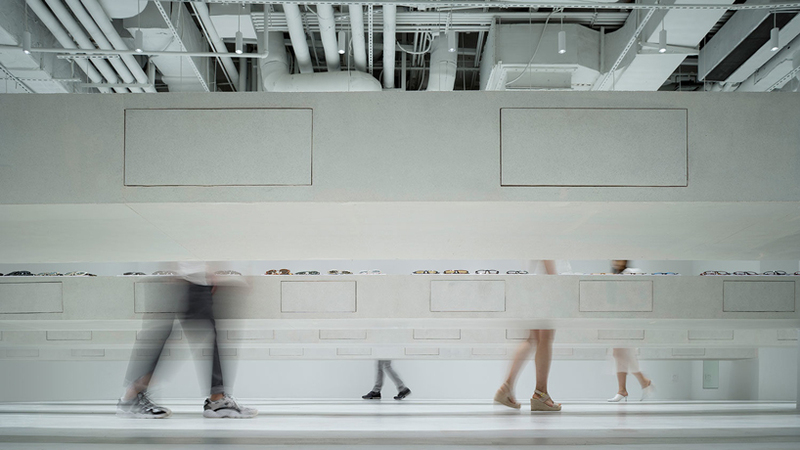 as a company, JINS has a history of commissioning a wide range of artists and architects to design its stores and products. 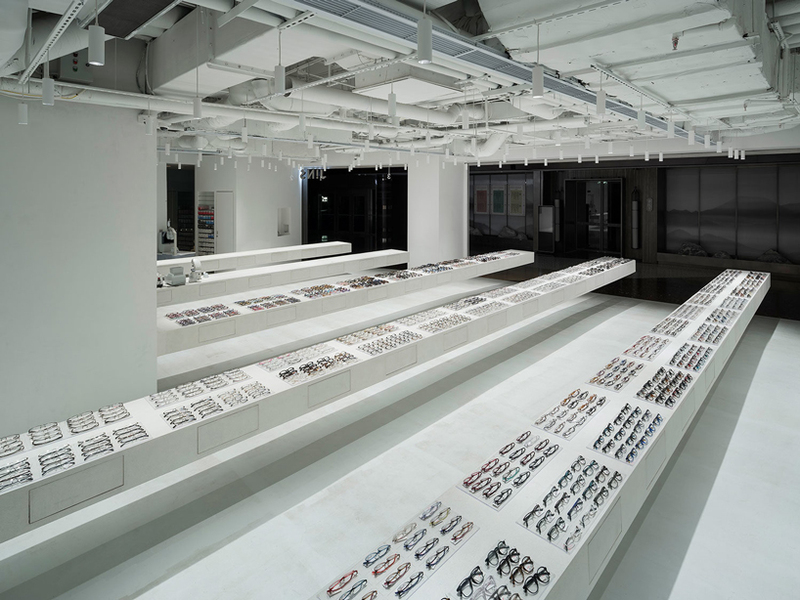 in early 2018, british designer jasper morrison teamed up with the brand to design a new line of glasses.